NORTH BEND – Forty-three teams of elementary, middle school, high school and college students from across Oregon descend on the North Bend Community Pool and North Bend High Schoolthis Saturday, April 30, to try out their hand-built underwater robots in the Oregon regional section of the annual Marine Advanced Technology Education (MATE) Remotely Operated Vehicle competition. The event, which is open to the public, runs from 8:30 am to 4:30 p.m. The Oregon competition is one of 24 regional contests held around the world under the coordination of the MATE Center. Top teams from upper level divisions will earn an opportunity to compete in MATE’s 15th annual international ROV competition June 23-25 at NASA’s Johnson Space Center in Houston, Texas. This year’s contest highlights the role of ROVs in scientific research and exploration in the deep ocean and outer space. Students will pilot their RVs through missions designed to meet NASA-identified needs. Among other things, teams are challenged to build a robot that can survive transport to Jupiter’s moon, Europa, and operate in the ocean beneath the moon’s ice sheet to collect data and deploy instrumentation. Teams must also create a poster and be interviewed by engineering judges. The competition promotes entrepreneurship and leadership skills by requiring students to organize their teams into a company, with each student taking on a specific roll as they design, manufacture and market their student-built robots. They must manage a project and budget, brainstorm innovative solutions and work as a team – all important workforce skills. 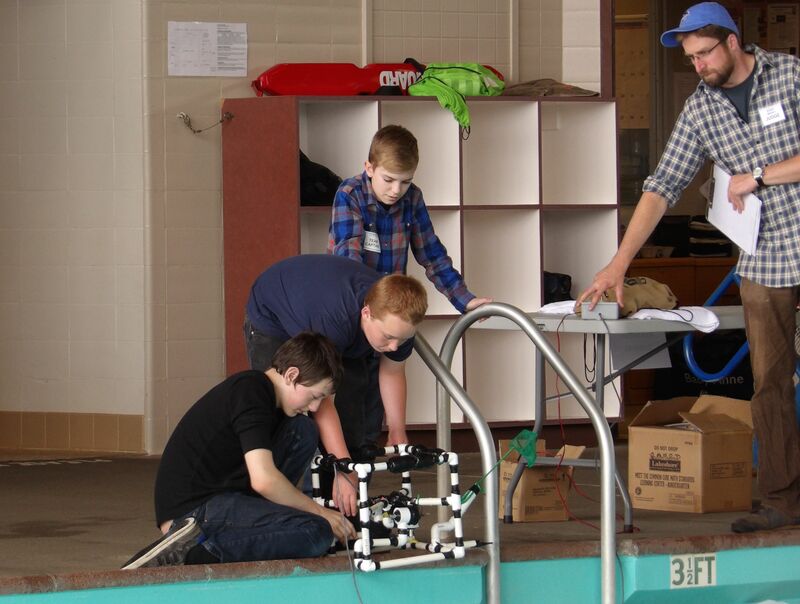 The Oregon Regional MATE ROV Competition is supported by numerous partners and more than 50 volunteers who serve as divers, judges and support staff. This year’s competition is sponsored by the Oregon Coast Stem Hub.